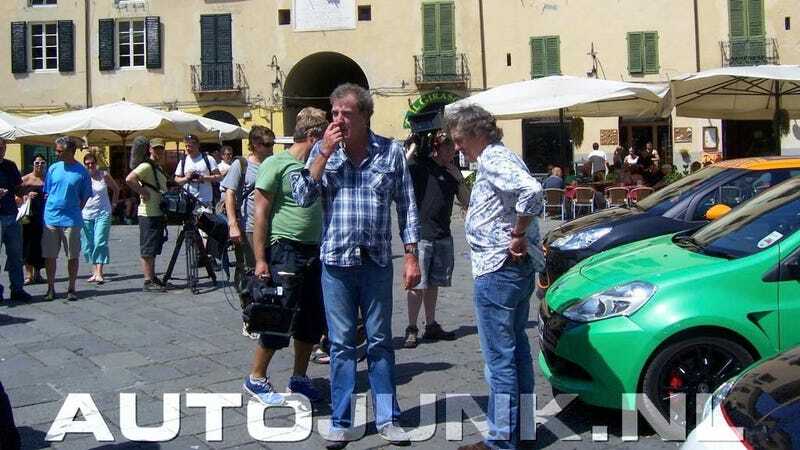 Looks like Top Gear's planning a show on mini hot hatches like the Abarth Fiat 500, Citröen DS3-R and Renault Clio RS. Bystanders caught them chilling in Lucca, Italy's Piazza dell'Anfiteatro, a space large enough for some serious paving-stoned hoonage. Great news!